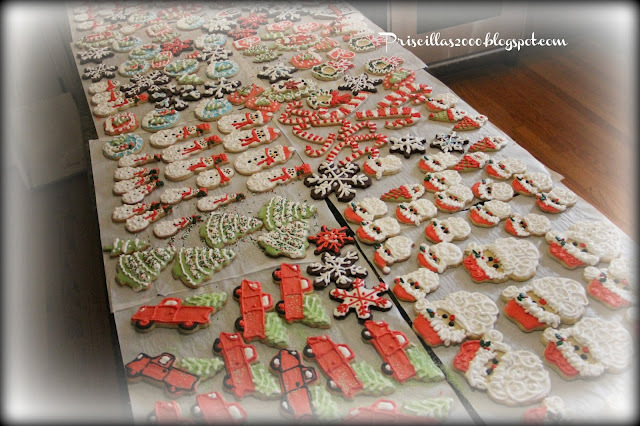 I baked the cookies last night ..3 double batches of sugar cookies..1 batch gingerbread..1 batch chocolate sugar cookies.. This morning I started decorating at 6 am and finished at about 1:00 pm..
Love the Santa's and the trucks .. and the little aqua snowglobes..
Oh my goodness, I'm in awe! 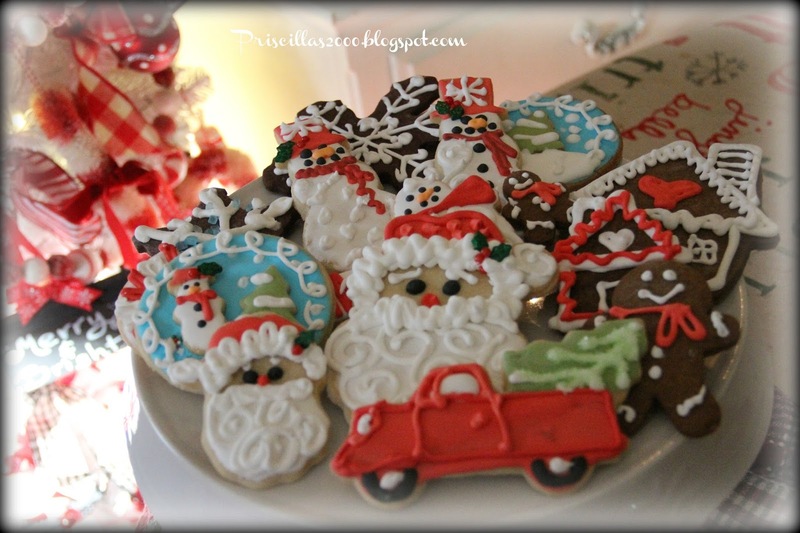 You do FABULOUS decorating on your cookies. 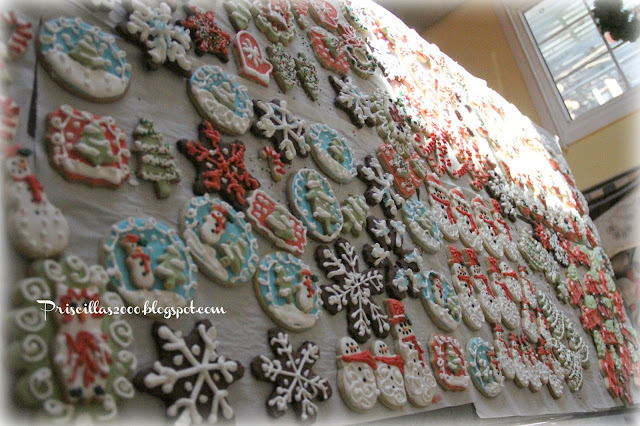 They are almost to pretty to eat...almost! hehe Happy Saturday! My mouth just dropped! You are one talented lady, they look professional and perfect! No wonder your worked for 7 hours. Me...I baked the ginger cookies for my garndgirls to decorate, lol..
Wow! 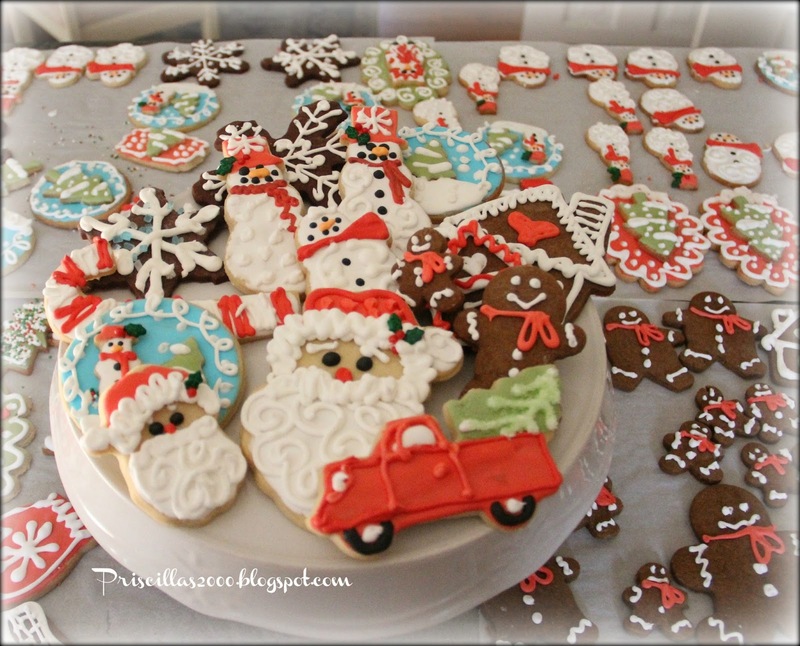 What gorgeous cookies you have created! The truck hauling the tree seems to be a popular theme this year. 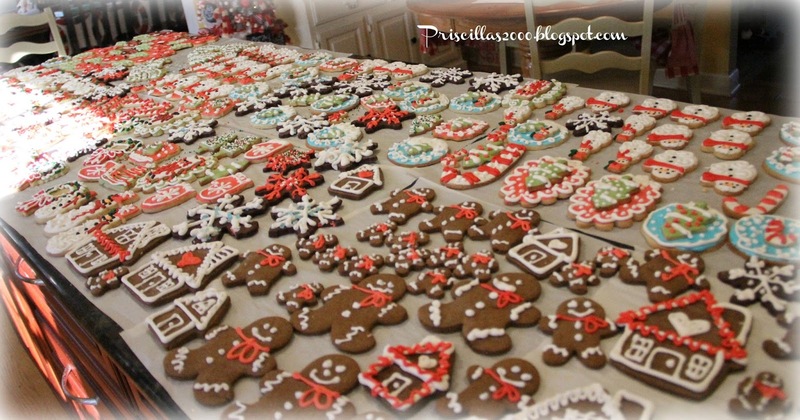 What a lot of yummy and beautiful cookies. That's a lot of decorating. You did a wonderful job. Those look awesome! I miss doing that! What do you do with a ll of them? Oh Yeah!!! I almost missed it! Thank you for doing this every year! You and Vonna amaze me with these works of art!!!! Some different ones in here, too. I'm retiring on the 31st. I'm gonna try to follow in your cookie doh footsteps next year. This year our Daughter, Granddaughter, and I made our pecan mix. Thx for sharing the most beautiful Christmas decor and cookies every year. It puts me in the mood. Makes my silly eyeballs jump out! Lol! My Goodness you are creative. 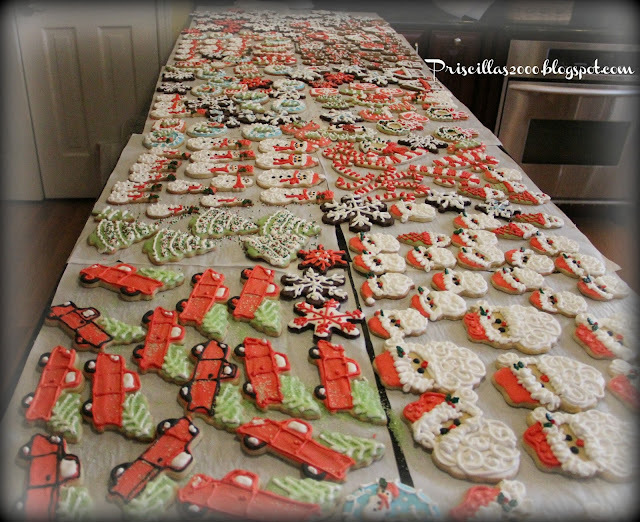 The cookies are beautiful and a lot of hard work went into them. Happy a blessed Christmas! Every year, I am awestruck by these cookies that are truly beyond belief!! 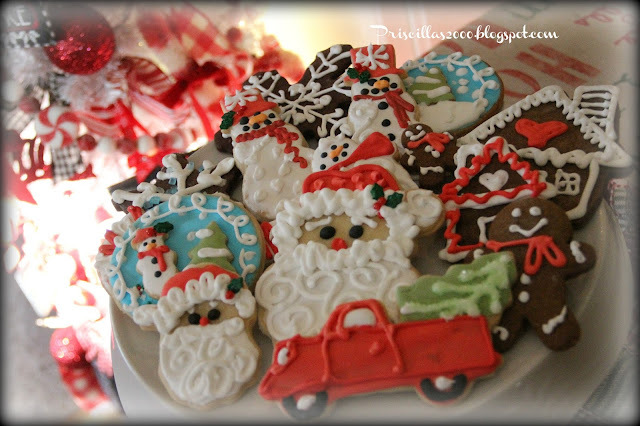 I would have to save one and not eat it because they are too darn pretty!! Here's an idea....a tree done in cookie ornaments like these would be fantastic!! Do I have you thinking now???? LOL! !